My worm compost bin dwells in our attached garage. This makes it handy to the kitchen and scraps that need to go to the bin for composting. My worms were fat and happy and multiplied quickly. Then something strange happened. My wiggly worms disappeared and in their place, some unwanted guests appeared. These things not only filled up the chamber, they had voracious appetites and ate all the garbage. They were really ugly fat fly larvae, also known as maggots. (I shiver as I type.) You might also notice the photo is a bit blurry. Tremors were hard to stop long enough to hold the camera still. My thanks go to Clemson Extension Agent Vicky Bertagnolli, Consumer Horticulture Agent and Master Gardener Coordinator, for identifying this pest. It is/was a Soldier Fly (Hermetia illucens). For years, I rehabilitated wildlife. Raptors (hawks and owls), in particular, take not just a strong commitment, but a strong resolve to prepare the food and hand feed the youngsters. The non-releasable captives were hand-fed, too, to keep them happy with humans. I had overcome my squeamish feelings to feed these beautiful birds. So, I strengthened my resolve regarding the larvae/maggots and managed to pick them out, using gloved hands, and feed them to my backyard birds. The Carolina Wrens, in particular, seemed to relish these treats and watched for their arrival. Eventually, I managed to feed all of them left in the bin. Some morphed into the Soldier Fly as adults. I have since found out that if I had checked the lower chambers in my worm composter, I might have found and saved my red wigglers by feeding them deep down instead of on the surface where the soldier flies hang out. It seems the soldier flies don’t kill the worms, they just crowd them out. The worms go deeper and end up starving. So, if your worm bin fills up with fat larvae, look in your lower bins. 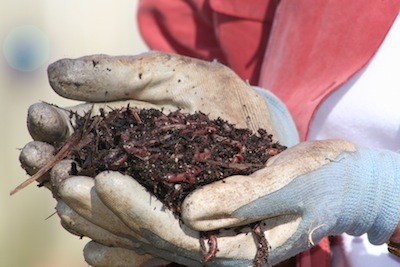 Your worms might still be salvageable. There is an excellent article at the University of Oregon Extension website detailing the Soldier Fly and its life cycle. 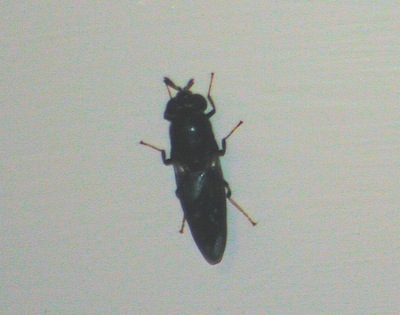 They are not considered house pests. My worms would have a different opinion. Follow Anne K Moore as she blogs along with Linda Weiss at Diggin’ It at the Christian Science Monitor website, and at their website, The Gardener and the Chef. 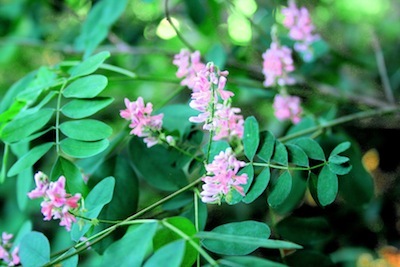 The Himalayan Indigo (Indigofera heterantha) is a shrub/tree that has not found favor in our American gardens, although it seems to be quite popular, and readily available, in England. There it has enjoyed recognition from the Royal Horticulture Society, winning its esteemed Award of Garden Merit. It is known to rebloom throughout the summer into fall but in my harsh spot, it only throws up a very few flower stems the rest of the season, not worth mentioning, really. If I had a sunny spot, I might try it there, where it might be more of a mound. In some areas it could freeze down to the ground, or you might want to renew it with a cutback to the ground in the spring. This is one tough little tree. Not only does it grow in extreme dark shade for most of the day and year, this is very dry shade under a mature maple and next to the woodland path fronting tall mature azaleas and tree-form red tips (Photinia fraseri). There is a bit of irrigation that comes close to it, but it really doesn’t get any special water and gets some fertilizer when I fertilize the azaleas. From what I can determine, this shrub will grow in sun, part shade, and full shade in USDA Zones 5-11. I can attest to its drought and heat tolerance once established. 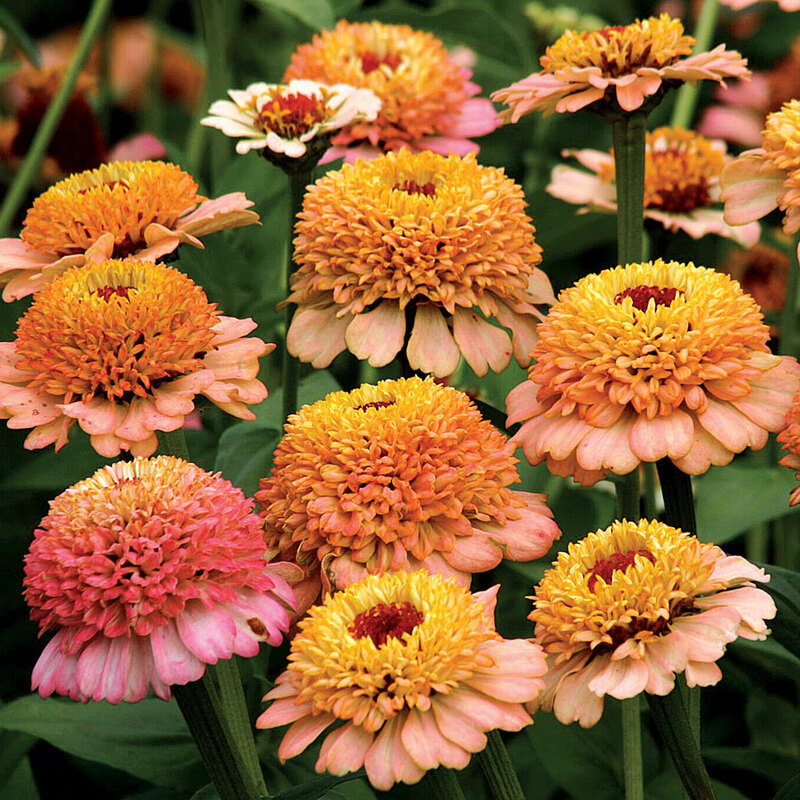 It can be anywhere from 3 to 7 feet tall, and as wide, depending on its growing conditions. It blooms on new growth, so a yearly trimming could help with flowering, although I have never set pruners to branch of my little tree, and it blossoms on. It appears the English gardeners are ahead of us with this little treasure, which is related to our native Black Locust (Robinia pseudoacacia). It is suggested as an alternative to the butterfly bush (Buddleia) that has proved to be so invasive in Washington State. You will probably have to search out a supplier on line, but it might be time to use this somewhat ethereal sturdy little shrub in your garden. It will most likely be the only one in the neighborhood. Join Anne K Moore and Linda Weiss as the blog at The Gardener & The Chef and at CS Monitor Diggin’ It.